Apiafo is a 12 track album, entirely recorded, mixed and mastered from old analog tapes, and played with vintage instruments, recalling the sound of bands like Poly-Rythmo De Cotonou or El Rego!Peter Solo invited his uncle, Roger Damawuzan, famous pioneer of the 70s soul scene in Togo, to sing on "Pas Contente" & "Wrong Road". The result of their collaboration is without a doubt two amazing future dancefloor classics!The idea of integrating these haunting lines, sung in honor of the Divinities, to an energetic 70's Afro-funk style, was, in Peter Solo's mind, an obvious extension of the analogy he found between the voodoo tradition and trance inducers such as Soul, Funk, as well as the Rhythm N Blues of James Brown or Otis Redding. 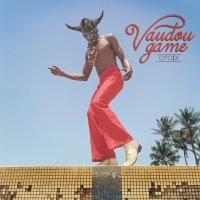 When faced with the decision to take a different direction at the risk of getting lost in a synthetic sound or to further explore the same musical path, Vaudou Game didnt need to consult the oracle for very long when putting together their new album. Since their first acclaimed album, Apiafo and its irresistible single "Pas Contente", these Lyon natives never turned down the heat on over 130 stages across Europe, Africa, America and Asia. Peter Solo has displayed his amulets, charisma and yellow pants around the globeWhen time came for them to harness their Afro-Funk sound for the second time, they turned their attention once again to their analog strengths. Vintage material, instruments produced in the 70's and cassette tapes were the "grigris" (or lucky charms) which proved most effective to ward off digital corruption of their music and return them to a tight-knit group with a solid groove. 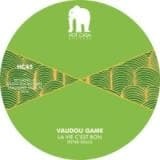 Including 2 remixes by Osunlade under the collective name of Yoruba Soul! 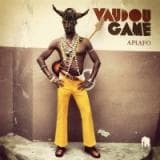 Since their first acclaimed album Apiafo, Vaudou Game turned down the heat over 160 stages across the world. Peter Solo has displayed his vaudou chants and charisma around the globe. On the road he and Osunlade met and shared their musical visions. 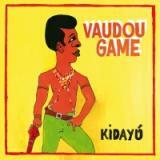 Kidayu is the name of the 2nd opus and means "sharing": its exactly what those versions of "On se pousse" are about. ! 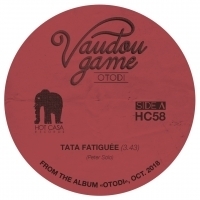 Vaudou Game's third full length; recorded in Togo at Otodi studio's, built in the '70s by Scotch - making this an all analog listening experience ! 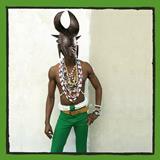 Afro-Funk with Togolese soul - a preview to the band's third album!